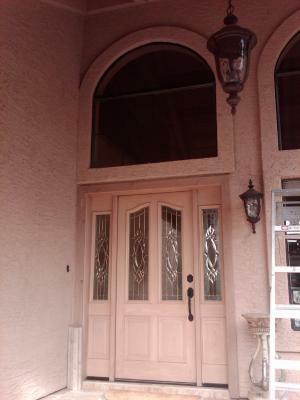 This remodel is one of many done in Gilbert Arizona by Signature Iron Doors. 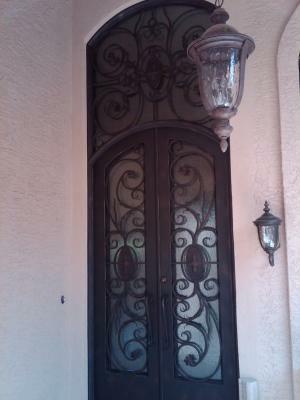 We are the leading iron door manufacturer in the nation and specifically Phoenix. Our doors are not easily made, which is why their beauty and durability is continuous, as should your home be. We have designers and technicians who hand forge every piece of iron meticulously to make sure your door evokes the splendor your home deserves. Call us and come visit our showroom to see our extensive selection of iron work and to speak with a sales representative about how we can serve you and provide a Signature Iron Entry Door for your Gilbert Arizona, 85296 home .